A couple of weeks ago I stepped on the scales and noted that unhealthy choices in meals and portion sizes had caused me to creep ever upward in weight. I determined to start eating less and eating more healthy foods. I began my search for healthier foods in our own little garden area. About a year ago we planted some fig trees along the fence line. The trees grew well and soon blossomed to produce fruit. 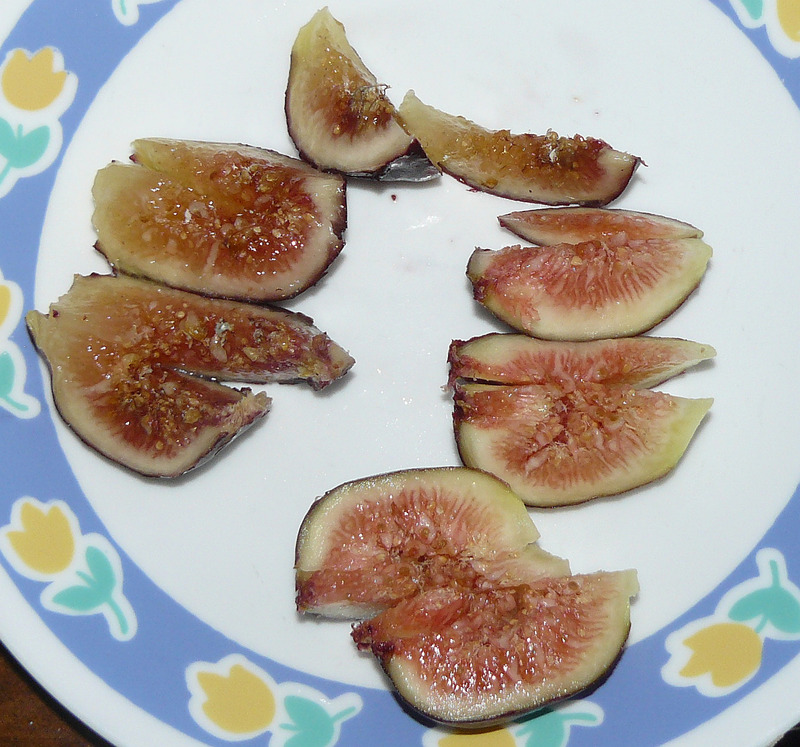 But, our first crop of figs was consumed almost entirely by ants and birds. We trimmed the trees back and took measures to reduce the number of ants in that area. A couple of days ago I prepared this little snack for myself for lunch.